Property 22: Apartment in Punta Umbría. Apartment in Punta Umbria. In front of the Ria de Huelva and Muelle de las Canoas. 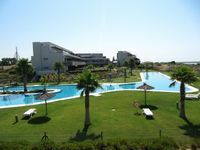 Property 23: Apartment in Punta Umbria. In front of the Ria de Huelva and Muelle de las Canoas. Property 24: Duplex overlooking the estuary. Luxury apartment in El Rompido, wifi, A.C.,Swimming pool. Property 37: Luxury apartment in El Rompido, wifi, A.C.,Swimming pool. 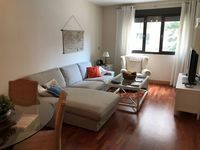 Luxury apartment in El Rompido, WIFI, AC., POOL. Property 38: Luxury apartment in El Rompido, WIFI, AC., POOL. Great spot you can walk to many restaurants, parkingworked good, some of the outside keys did not work on the gates. The apt was clean and worked out well.